It is practically impossible to avoid experiencing water damage on your property because there are so many ways it can happen. 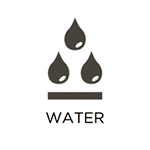 The weather is a common cause of water damage if there is heavy rainfall or natural flooding, and it can also occur if there is a problem inside your home such as a burst pipe, leaking appliance, backup, or overflow. Any type of water damage requires immediate attention because excess moisture easily spreads through building materials and furnishings and puts them at risk for mold growth and structural damage. RestorationMaster provides water damage restoration services to remove excess moisture and flood water from homes and businesses in Highland Heights, OH. You can count on our technicians to effectively remove the water, dry the affected materials, and restore the resulting damage. Fires are terrible disasters that always take homeowners and business owners by surprise. 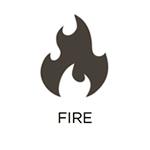 There are many potential causes that can spark a fire at any time and immediately put your property and everyone inside at serious risk. You must evacuate your home or building as soon as a fire starts and call the local fire department. Once the fire department has left your property, you should not waste any time beginning the restoration of the damage. RestorationMaster provides fire damage restoration services in Highland Heights, OH to cleanup and repair commercial and residential properties after a fire. Our technicians will repair structural damage and effectively clean items damaged by smoke and soot to prevent permanent damage. Residents throughout Ohio understand how quickly a major storm can form and put your property at risk of damage. Our state experiences all types of severe weather including tornadoes, blizzards, flooding, strong winds, and severe thunderstorms that can damage your property and even threaten your personal safety. It is important to check your property for damage after a storm and call a professional right away if you find significant damage. At RestorationMaster, we provide storm damage restoration services to help rebuild homes and buildings in Highland Heights, OH that were damaged by a storm. Our technicians can rebuild any damage caused by the storm and provide restoration services to deal with water damage and other issues. It is difficult to keep your property mold free because mold will show up anywhere within a home or building with a moist environment. Once mold growth appears, your property and your health are in danger. Mold can do serious damage to the affected surfaces over time and its spores will spread throughout the property, causing growth in new areas. 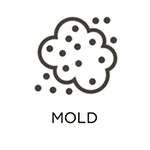 Exposure to the mold spores can trigger a number of allergic reactions and the symptoms of mold exposure will only get worse until the mold is removed. RestorationMaster provides complete mold remediation services in Highland Heights, OH to remove mold growth from homes and businesses. We will ensure that all mold is removed, and we will repair the areas that were damaged by mold growth. It is hard to imagine an event like a major injury or death happening on your property, but it is always a remote possibility. Trauma scenes are overwhelming to find and very dangerous to encounter. These scenes typically contain hazardous materials such as blood and other bodily fluids that can spread infection. You must call 911 immediately to deal with the emergency, as well as a licensed restoration professional because EMTs and law enforcement officials do not have the training to clean the scene. RestorationMaster provides trauma and crime scene cleaning services in Highland Heights, OH to safely clean up the scene of a serious accident or death. Our technicians will do the job discreetly to get the scene back to normal and we treat those who have suffered a loss with respect and compassion. 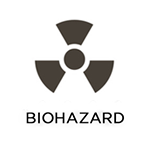 Many people may not realize that they can encounter biohazard materials at any point. Common biohazard materials like blood and other bodily fluids, sewage, mold, chemicals, and others contain dangerous pathogens that trigger infections and diseases. It is best to avoid handling biohazard materials to protect your health and to call our professionals to clean them up. RestorationMaster provides complete biohazard cleaning services to safely remove all types of biohazard materials in Highland Heights, OH. Our technicians can safely handle any type of biohazard materials and we will thoroughly restore the scene afterwards to ensure that it is safe. Your business is just as vulnerable as your home to a disaster but severe damage in your business can be much costlier. A major disaster will cause damage that your company will have to pay to repair, and your company can also lose money if there is damaged equipment and inventory or if you must pause operations while the restoration is completed. At RestorationMaster, we understand the need to get your business back up in running which is why we provide complete commercial restoration services for businesses in Highland Heights, OH. Our technicians can quickly restore damage in any type of commercial setting to get your business back up and running.